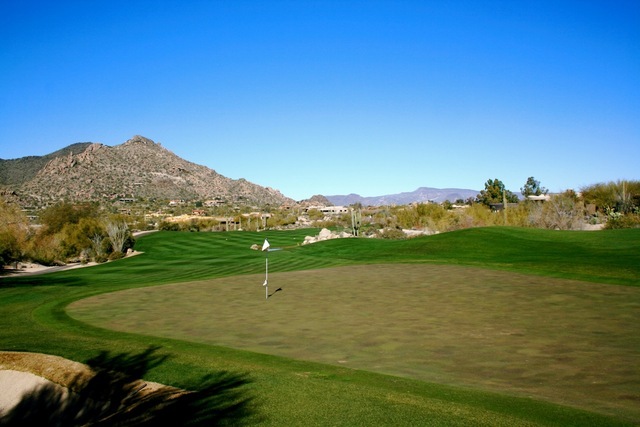 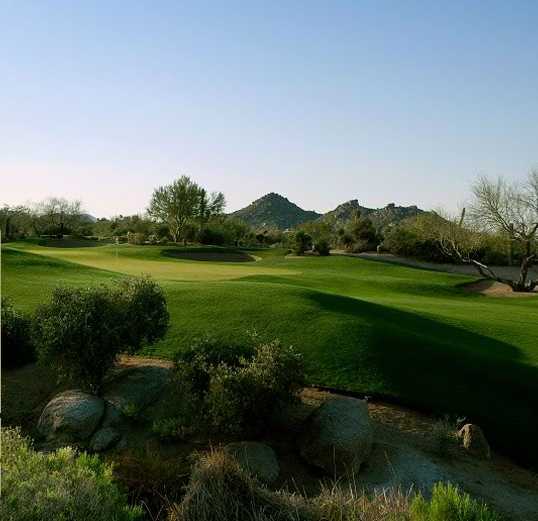 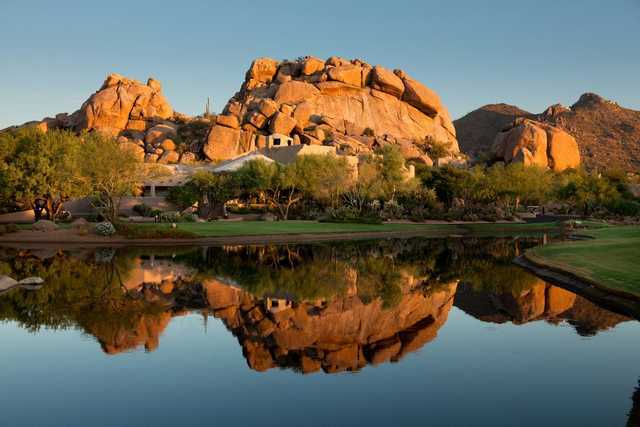 Meandering across 1,300 acres of pristine Sonoran Desert, the Boulders Golf Club offers two stunning championship courses that play through the foothills of the Black Mountain. 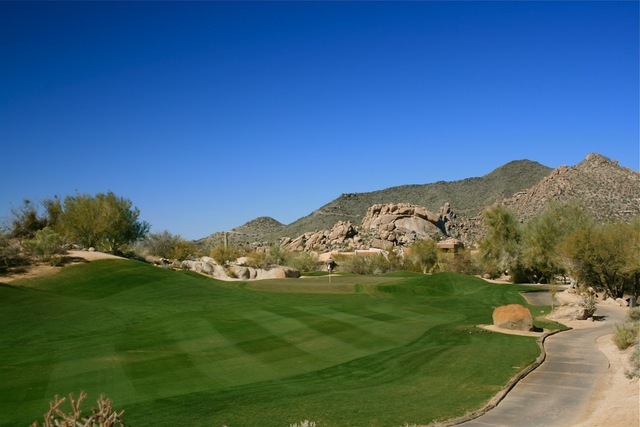 Both the North and the South Courses were carved from the hillsides, offering stunning views throughout. 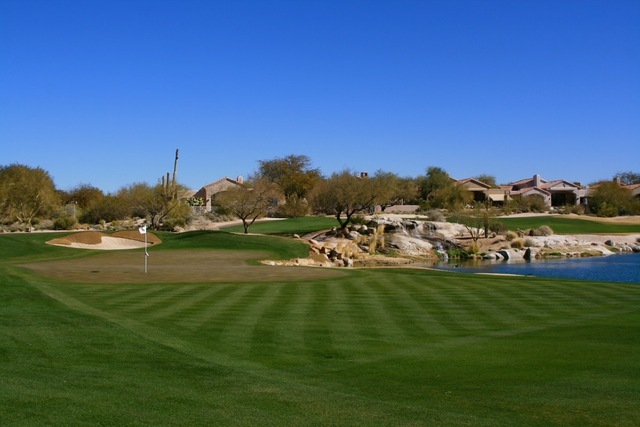 The South Course is the newer of the two and many say it is more scenic. 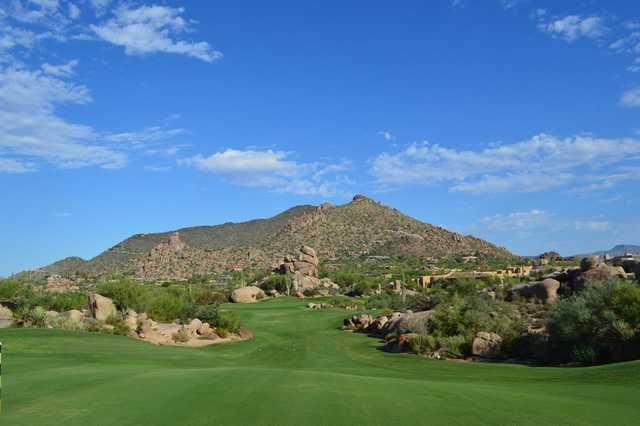 Meandering across 1,300 acres of pristine Sonoran Desert, the Boulders Golf Club offers two stunning championship courses that play through the foothills of the Black Mountain. 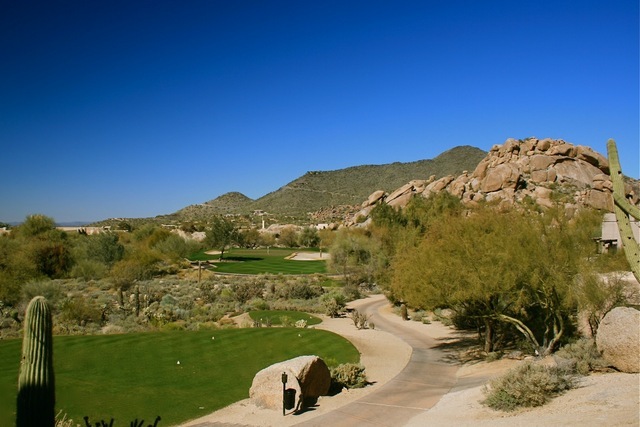 Both the North and the South Courses were carved from the hillsides, offering stunning views throughout. 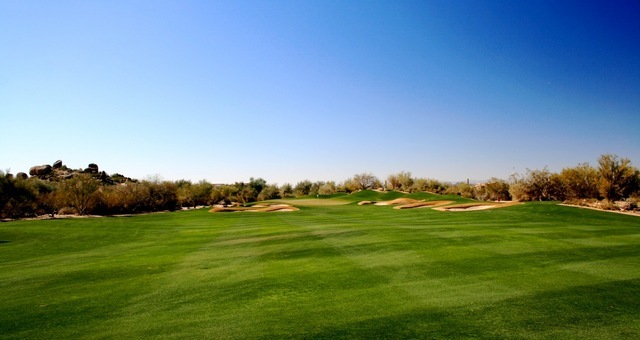 The South Course is the newer of the two and many say it is more scenic. 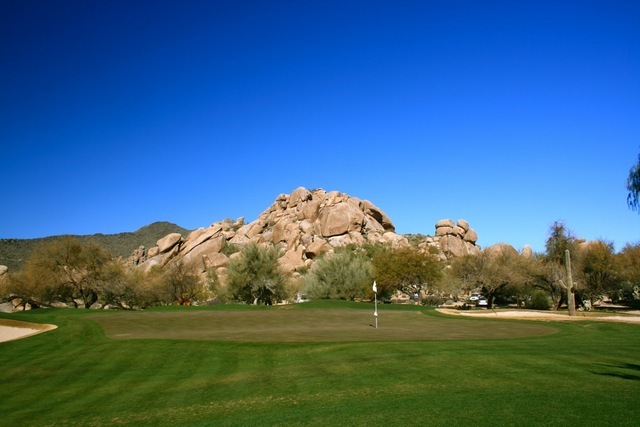 Ancient rock formations cover the course, with several holes that go directly into the boulders. 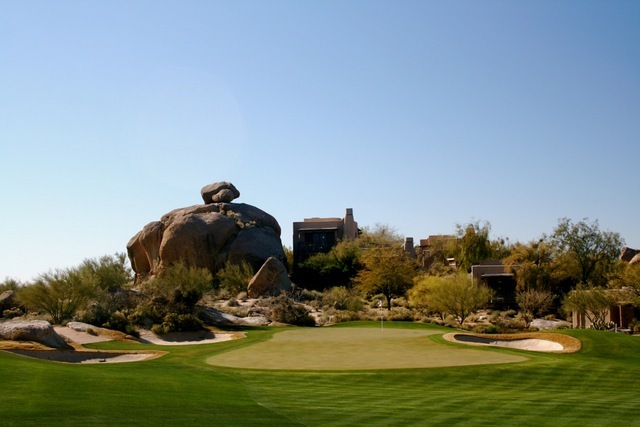 Along the course, golfers will come across "Boulder Pile" and "Rosie's Rock," two of the club's most recognizable formations. 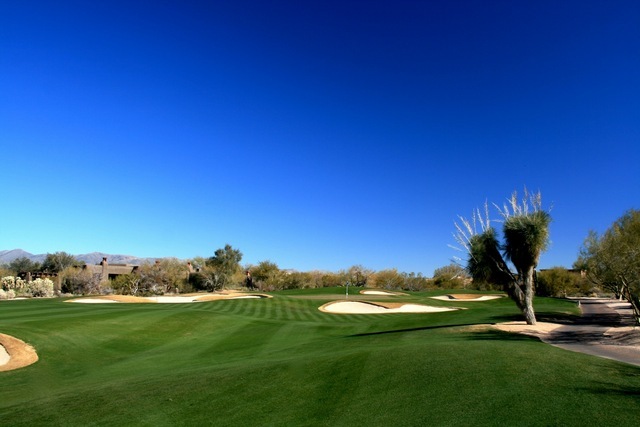 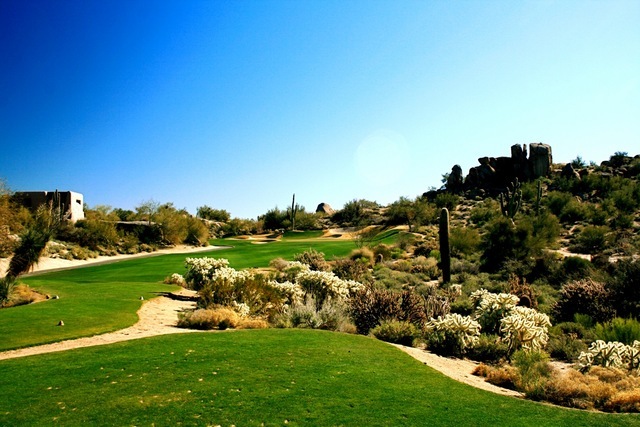 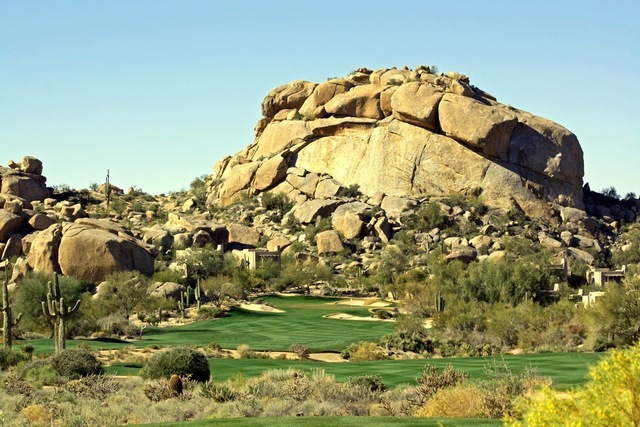 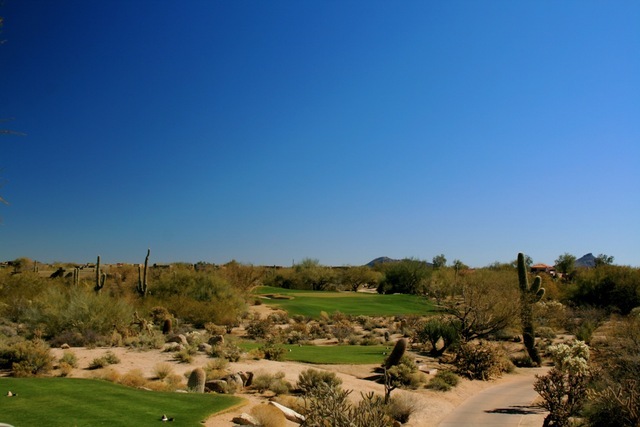 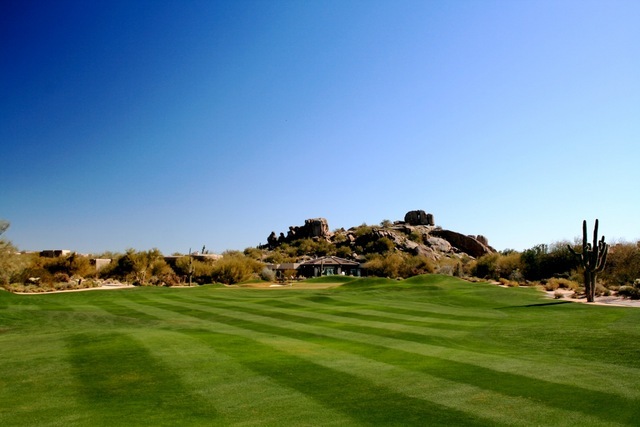 The fifth hole is the golf course's signature, noted for the dramatic rocky outcropping surrounding the green and the incredible view of the surrounding desert. 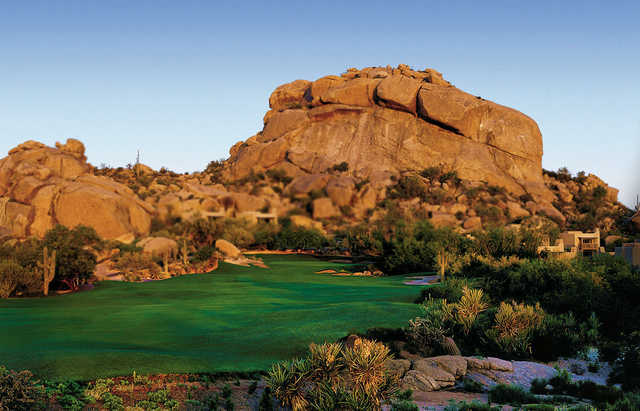 Together, the courses have earned the Boulders the reputation of being one of the Southwest's best resorts.